Dad Love 7 – I need a pep talk. About 15 years ago I was helping this young skinhead get out of a dangerous hate group. He told me he would pass the difficult act of assistance on to others. He became a social worker. You spend your entire adult life working to deconstruct the harm caused by racism, sexism, and homophobia, you hope something will come from it. I don’t mean a Nobel Peace Prize, just a sense that your efforts mattered. And they would end when you felt you were done. I always trip up on the difference between empathy and sympathy. Can I have empathy for a person of color who has been hassled by the police? I have never been a person of color. Can I have empathy for women dealing with the low-grade burdens of patriarchy? I have never been a female. I can have a lot of sympathy, but can I have empathy? 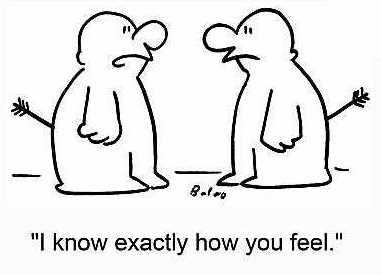 Some would argue that just being a human being allows you to have empathy for any other human being. I like that idea but it misses something. The reason I mention this is I just got the notice that my unemployment benefits have run out and the pressure is now on to get Career Part 2 on its feet. You might remember in January I posted a slightly cryptic blog about needing a career change and then in May another post added some details to my unpleasant exit from my university home for twenty years. It wasn’t all grim. During that time I had my Kickstarter project for my new novel fully funded and got to teach an amazing anthropology methods class on Isla Mujeres. I didn’t get paid but it was a free summer on a beautiful Caribbean island with my family. I cherished every second of it. 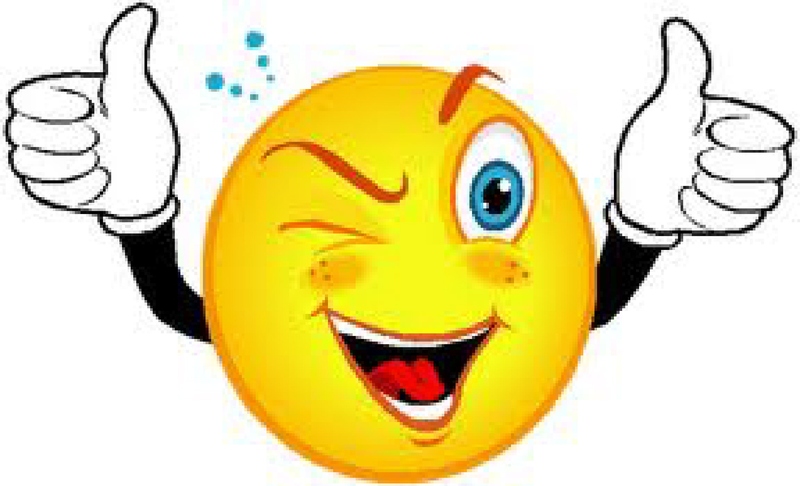 Americans love adages; One door closes and another opens! 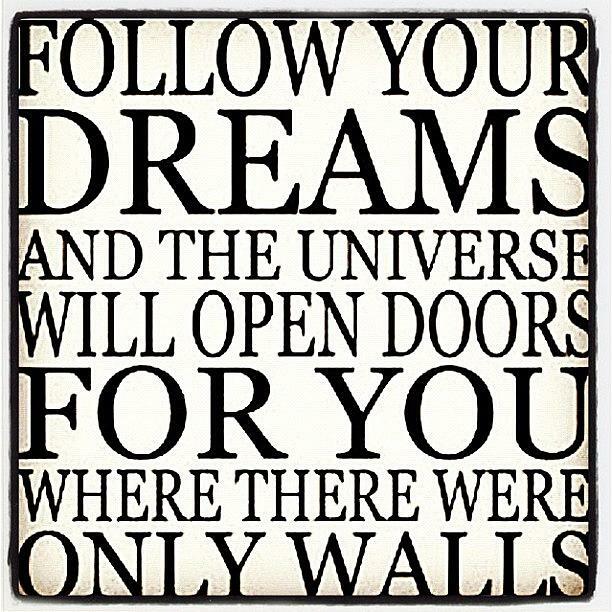 Follow your dreams! It gets better! Don’t stop believing! The movies and TVs are filled with the rags to riches stories that prove that big dreams can happen. Just listen to an interview with the winner of your favorite reality show. “I knew that if I just kept believin’ I would be the next American Ninja Warrior.” What we don’t see is all the suckers who thought the same thing and got absolutely nowhere. When I lecture about social stratification, I discuss how the reality is that most American stories are rags to rags and riches to riches, like silver spoon man-baby Donald Trump (Trump reference!). People don’t want to hear that. They want to believe that everything is possible with hope, God, good Karma, the right lottery numbers, friends, a good haircut, blah, blah, but the statistics just don’t back that up. But I am special! I’m not a statistic! You want to believe that there is something bigger and better just around the corner, just like Tony in West Side Story. (Spoiler alert! He got shot to death.) We will buck the trend. I’m not on a bummer bender. (OK, maybe a little bit.) I had my dream. I was a tenured professor at a great university. It was a path I started on in my freshman year of college. I had a career that made a difference in the world. I won awards for my teaching and my research was in textbooks. I was the face of my university in the media and I took it all as serious as your life. Then a handful of people, for reasons I can only pretend to understand (the squeaky wheel gets the hammer), decided taking it all away was a worthwhile activity. They hurt my colleagues, my students (especially my graduate students who came to work with me), the school itself and, most of all, my family. My daughter’s financial security has been gutted. It’s a story so bizarre, someone should write a book about it. 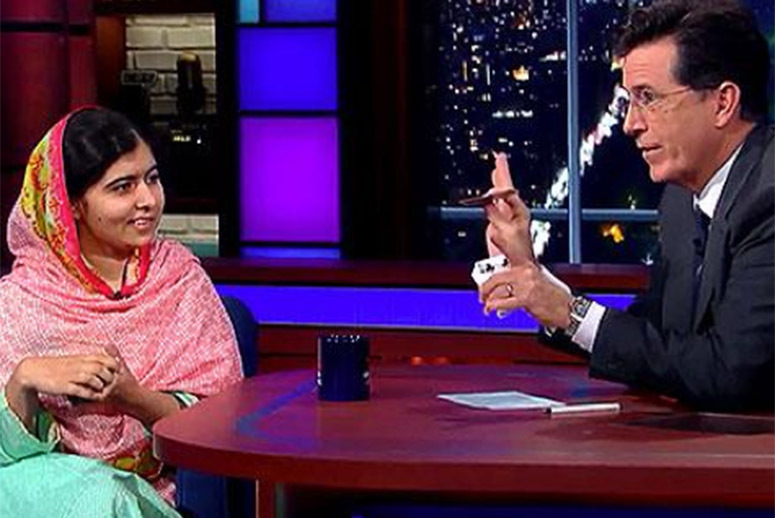 Malala Yousefzai was on Colbert last week and she said she had forgiven the Taliban members that shot her in the face. That really shook me to the bone. If she can do that, I guess I could forgive a dean or a provost, but it’s not so easy. Not when I think of my savings account shrinking as I try and care for my family. Not when I think of the community work I could be doing instead of figuring out next steps. Forgiveness is the goal. But there is a huge bright side. I’ve had all this wonderful time with my daughter that I would have spent working on campus or grading papers late into the night. She will be a better person because I was there. I’ve had time to write and cook for my wife and plan a wide open future. In a way it’s been a wonderful blessing. Instead of fantasizing about flying a plane into the administration building I want to thank them with a big sloppy hug. There is something wonderfully exhilarating about being zipped to a clean slate. I can’t say there haven’t been moments of great challenge. Our wonderful health benefits were cancelled. Fortunately, thanks to Obamacare, were are all covered now and Cozy has a dentist appointment coming up. Andrea is back to work and I’ve got some great possibilities on the horizon but all involve us moving away from Portland, a community we both feel deeply connected to. I guess there’s a handy saying about that as well. Get out town before you get thrown out, or something like that. This is where the empathy comes in. 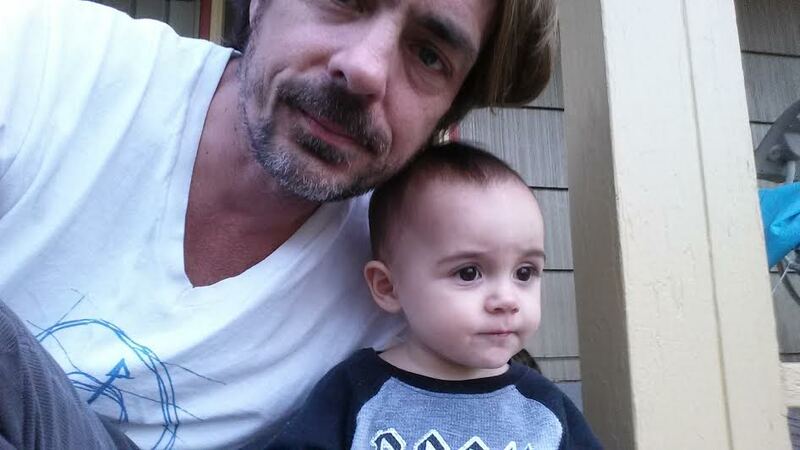 When I look at my beautiful child, who I love more every single second, there’s a sense of desperation that wells up. What if there’s not a better job out there? What if that was the most secure gig I will ever have? What if Cozy is destined to a life living in a van down by the river? I start to empathize with people who turn to crime to provide for their family, robbing banks and lemonade stands. I’m a long way away from becoming Jean Valjean or a character in a Springsteen song, but I get it. I would do anything for my kid, just like those Syrian refugees. Anything. My brown wife laughs at all this and says, “Shut up. You’re a white male with a PhD.” I know I’ve got some assets that will keep us out of the shelter but I have to think about all those parents who are downwardly mobile. I’m sure each one of them felt special, too. “Everything will work out,” I can hear them say. But like Liam Neeson, I have a very particular set of skills. Yeah, I could land a job at Costco but I’m a teacher and writer. It’s a small lane to get back in to and make enough dough not to slip backwards. So you start engaging in magical thinking. I could win Power Ball. I could get a massive publishing advance for the book I’m writing. My previous book could finally get made into a film and I could wave to university administrators from the red carpet. Ellen DeGeneres could give me a $10,000 gift card to Target. And there’s always the possibility that they’ll need a sociologist on a hastily assembled manned mission to Mars to collect water (sponsored by Nestle). When I was a single guy, I just would have rolled with it, part of the grand adventure. Maybe moved to Prague to teach English or enrolled in assassin school. But when you have a family, it’s a whole ‘nother ballgame. It’s easy to panic and think the ship’s going down, like it has for so many other families. But then my wife lays her legs across mine and Cozy crawls across my chest and I think, who cares about the rest of it. The work I’ve done has a life of its own and as long as my family is healthy and together, all the rest is just sprinkles on a cupcake. Besides, I have a enough crap to sell on eBay to pay the mortgage for years. Everything’s gonna be fine. < Previous Mr. Trump, kiss my anchor baby. I think there is change coming in terms of rooting out institutional racism. Your skills are needed whether or not everyone else knows it yet. I think you can carve yourself out a niche as a consultant and make a huge difference. Importantly, get a clear idea of what you want to do and then make a list and start taking steps. Your experise is too valuable to be wasted. That is a powerful thought. Thanks! I would offer that it is not really a question of whether or not everything is going to be OK in the future. The immutable fact is that everything IS OK right now – because you have the blessings of white male privilege. Yay for pep talks! How wonderful to spin around in a future where you get to select the most desirable infinitely desirable possibilities. You have this luxury – not because you’re highly educated, not because you’re such a good father and talented writer, not because you married a good and lovely woman – but because, with all your lovely sympathy and empathy my fatherfeminist friend, you are a white male who is richrichrich with privilege. Ah, I live in love for him–and I can recognize his inadequate my empathy is. 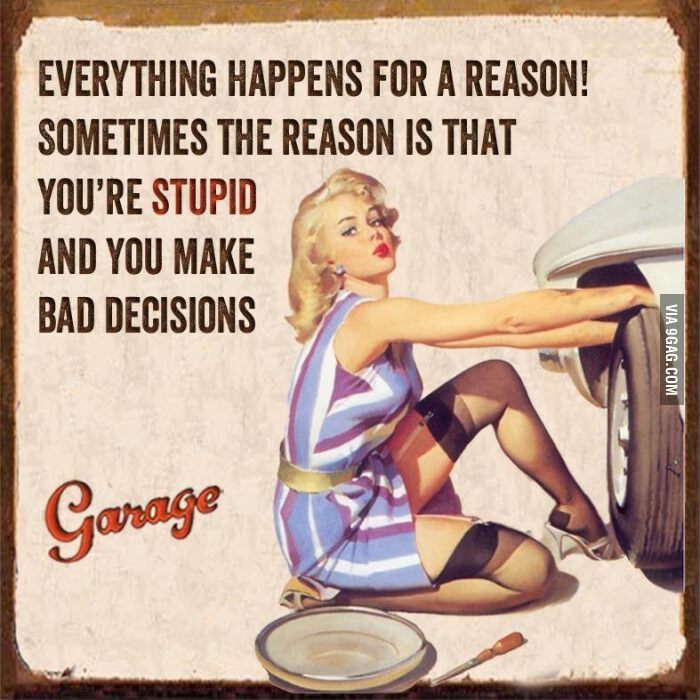 You forgot the maxim that grinds my gears: everything happens for a reason. Yes, and sometimes that reason is unfettered greed, hate, etc on the other guy’s part.